I had a really nice holiday. The tree was pretty. One son was here for the full week. We had good food, often joined by our other two kids. My daughter did Christmas dinner for eleven and really outdid herself. A beautiful pork tenderloin, herb-encrusted, with a tasty but subtle gravy. Sweet potato dish, fantastic stuffing made with Italian bread, shallots, and dried cranberries. My brother and sister-in-law were up from North Carolina and contributed a yummy salad. I contributed a broccoli casserole and my best dessert, Boccone Dolce. It was completely devoured. We even had a baby with us this year as my nephew and his wife joined us with 7-month old Jake who is adorable and exceedingly sweet. He just enjoyed our company and never made any noise other than some gurgling. One of my gifts was the 2011 Microsoft Ofice which I loaded onto my computer yesterday. Now I need to learn the differences between the new and the old. And get back to my writing schedule. I've been working on revisions and have done some submissions. Now it's time to generate some new work. If you haven't already subscribed to my monthly Poetry Newsletter, this would be a good time to do so. The next issue will go out on January 1, just in time to start off the new year. If you need some inspiration—and who doesn't?—you'll find a poem and prompt, a book recommendation, some links to writing-related sites, a poetry-related video, and a Craft Tip. This month's tip will come from poet Ingrid Wendt. Ingrid offers some great ideas on how to use discarded lines, you know, the ones you loved but had to admit weren't working in their poems, or the ones that were the only good parts of failed poems. If interested, use the sign-up form in the right-hand sidebar. Or Go Here to sign up. Once you sign up, be sure to hit the confirm link. Happy New Year, Everyone, and may your year be filled with poetry. Each Christmas I like to revisit the following essay from the The Sun. My grandmother read it to me many years ago. I've always remembered it. If you don't already know this piece, I hope you'll enjoy it. 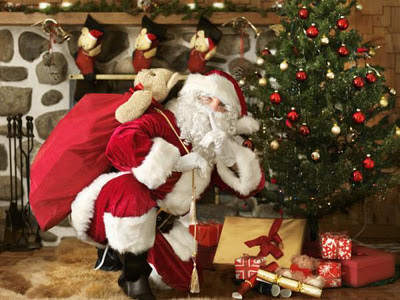 I also hope you'll have a Merry Christmas if that's what you're celebrating. 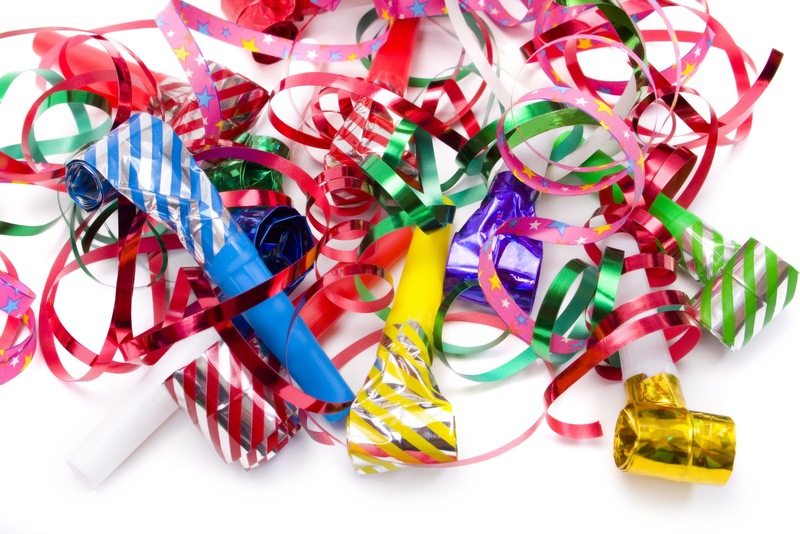 And I hope you'll have a wonderful New Year. Thank you for being a Blogalicious reader. And a special thank-you to all who have supported my poetry this past year. Eight-year-old Virginia O'Hanlon wrote a letter to the editor of New York's The Sun, and the quick response was printed as an unsigned editorial September 21, 1897. The work of veteran newsman Francis Pharcellus Church has since become history's most reprinted newspaper editorial, appearing in part or whole in dozens of languages in books, movies, and other editorials, and on posters and stamps. I am not quite finished with this book, but I want to mention it now in case some of you might be interested in getting it as a holiday gift. 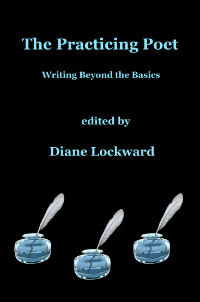 This craft book would be a perfect gift for any poets you know who are looking for instruction and stimulation. Perhaps you yourself are just such a poet? Then treat yourself. The book seems a bit pricey at $35, but it's a textbook so is priced as such. That doesn't mean, however, that you can't use it outside of the classroom. 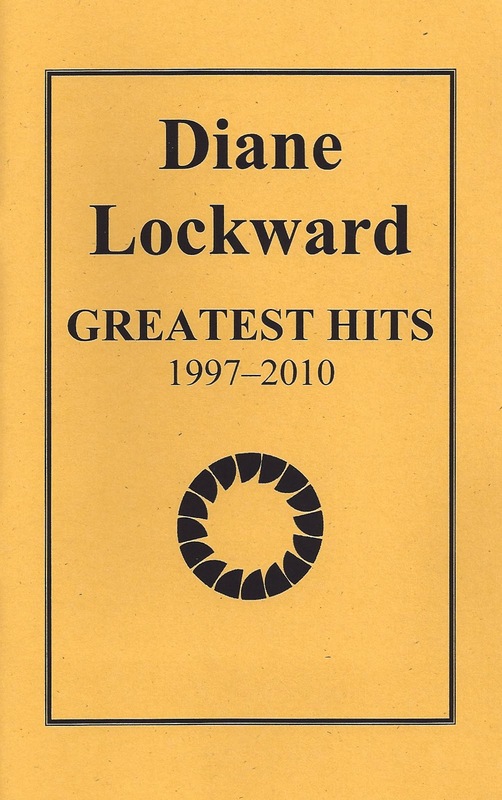 If you're a teacher looking for a good poetry textbook, this could be the very one. 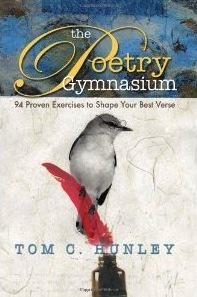 If you're a poet working on your own but hoping to expand your knowledge, this book really does contain the classroom. If you keep in mind that Hunley offers 94 exercises, then the price does not seem so high. But there's more, much more. Each exercise is preceded by a rationale and some background (tons of information here) and then followed by model poems. I found Hunley's revision strategies particularly interesting and exciting. I recalled and looked up Kim Addonizio's words about revision in Ordinary Genius: "If you don't think your work needs revision, here's a tip: Don't try to be a poet. You will never—and I mean never—be any good." Firm, but true. She goes on to say: "If you take your art seriously, you will write the poem again and again until you get it right, or as close to right as you can make it. Revision separates the professionals from the amateurs and the wannabes." I think you'll also find much in this book to stimulate your own work. 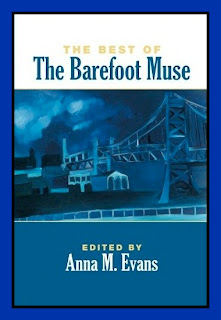 I'm happy to have a poem in this new anthology, The Best of the Barefoot Muse, published by Barefoot Muse Press. Editor and publisher Anna Evans has gathered together sixty poems from over fifty poets, all of whom had their poems selected from Evans' online journal, The Barefoot Muse, which for five years published formal and metrical poetry. The collection includes contemporary examples of the sonnet, villanelle, triolet, and sestina as well as more unusual forms such as the ghazal and the fib and many poems in structures of the poet's own devising. The collection is now available at Amazon, just in time for a wonderful holiday gift. In fact, what could be a better gift than a book of poetry? This one is very reasonably priced at $10.95. At last! This new chapbook has been published. I say "at last" as it's been well over a year since I was first invited to participate in this series. Although I was told then that the chapbook would be available for that year's AWP, which would have been 2011, that simply did not happen. Apparently, there were some problems that caused delays. In fact, the delays went on so long that I had pretty much concluded that the chapbook just wasn't going to happen. But happen it did. The original publisher, Pudding House Publications, sold the series to Kattywompus Press. Once the new publisher took over my manuscript, the process moved along at a brisk pace. So I went from thinking it wouldn't happen to a box of 20 copies on my doorstep. 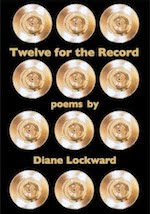 This collection consists of 12 poems, the ones deemed my "greatest hits." Selection was challenging, but I think I have a good variety and all three of my full-length books are represented. 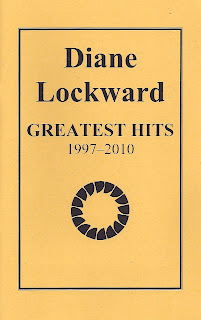 The collection begins with an essay detailing the history of the poems. I could provide a list of the poems here, but I'm not going to. I'll leave it to you to guess. Then if and when you get the chapbook, you can see if you were right. Make a game of it! I recently succumbed to the lure of the Amazon Kindle Fire. I'm glad I did. I love it. This is my first Kindle so I have nothing to compare it to, but so far I'm happy. 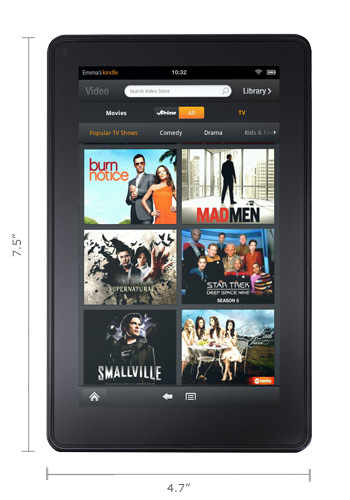 Although I love all things Mac, I passed over the iPad and opted for the Kindle Fire at less than half the price. It doesn't have all the options of the iPad, but I didn't think I wanted all the fancy stuff. I also liked the slightly smaller size. Among other reasons, I wanted one of these so I could download my newest book which recently became available for Kindle. I wanted to see how it looks. It looks great. There were two poems with one bad break each due to line lengths. I simply reduced the size of the font and the lines became just right. I'd noticed earlier when I added a book sample to Amazon's free desktop reader that the table of contents consisted of all blue links except the links were inactive. In the actual Kindle book, those links are active. Click on a title and you're immediately taken to that poem. I haven't loaded on any additional books yet, but I plan to. In the meantime, I've been using my new toy to check email and hop onto the internet. Very convenient—and fast. Another feature I find very fantastic is Amazon Prime which I recently signed up for. You get a free month with Kindle, but I'd already signed up for it. At $79 per year, it strikes me as a huge bargain. Any book I order now comes with free shipping and two-day delivery. No more waiting until I have enough books to equal $25 so I qualify for free shipping. I get instant gratification, something I'm quite fond of. Now with Amazon Prime, I can get one free Kindle book per month. I can get magazines and a good selection of movies—for free! I can't see myself watching movies on a reader, but it's nice to know that I can if I want to. 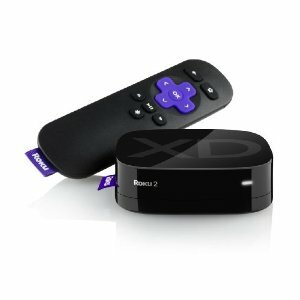 Now for my second toy, the Roku. A month or so ago I missed an episode of "Boardwalk Empire." I missed my weekly dose of violence, so I signed up for HBO GO. That enables me to get all HBO shows and movies on my computer. Since I have a big screen, watching on the computer is very comfortable. I get a weekly email now from HBO listing all the shows. In one of those newsletters, they had an offer for Roku. It's a game box, very small, about 3" x 3". You hook it up to your TV—with a USB cable for standard definition or an HDMI cable for HD. Either one is a very easy, fast setup. Once that was set up, the Roku screen appeared and took me through all the free offerings. For each one that I wanted, I had to go online, put in a code, and bingo, the channel was activated. We can get all the HBO shows, Amazon movies—again, many for free now that I'm a Prime subscriber—and a few other movie channels. I don't watch a ton of movies, but now that I can get so many for free instead of paying $5 each with FIOS, maybe I'll watch more. Of course, there's all kinds of stuff I could pay for, but for now I'm resisting any more temptation.